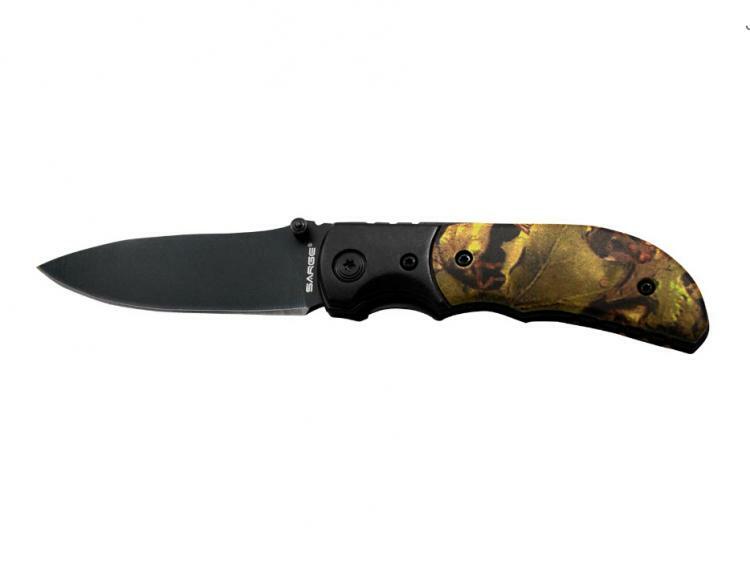 Whether you are a collector, an outdoorsman or with the Military, this digital camo tactical folder is for you. The 3.5” aluminum handle with black bolsters. This knife features a 2.75” black coated 440C stainless steel blade and liner lock system with ambidextrous thumb stud for easy one hand operation by righties or lefties. Includes pocket clip. If you're looking for a highly versatile knife with a tactical design, this beautifully designed hunter's knife is one you've got to bring on your next trip. Price: $34.00 In stock! - Browse this brand: Sarge KnivesOur products are custom made to your specifications. This product ships up to 2 weeks after your order is placed.